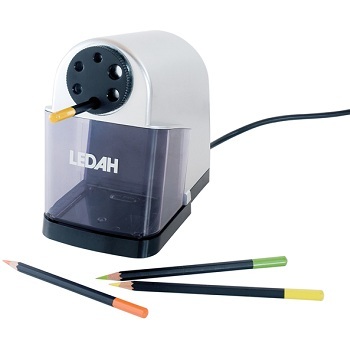 Heavy duty electric pencil sharpener designed for the toughest jobs. Adjustable rotary pencil guide for 6 pencil sizes up to Ø 11 mm. Ideal for schools. 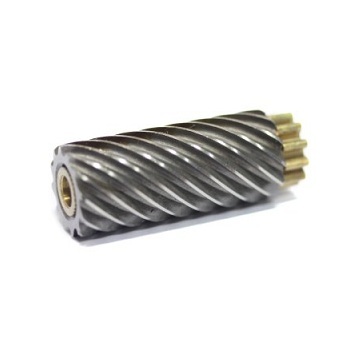 Heavy duty helical steel blade. Auto stop, won't over sharpen your pencils. Non skid rubber feet for added stability. 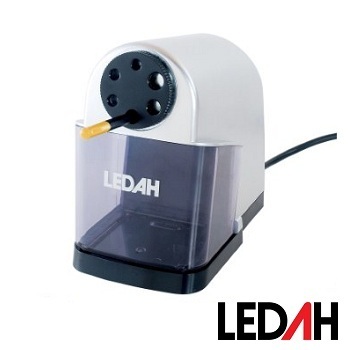 Strong plastic body - Transparent shavings body for easy cleaning.